Imagine you are driving down a beautiful highway heading to your much anticipated weekend away when all of a sudden you glance down and see that your car’s check engine light is glowing brightly from the dashboard. 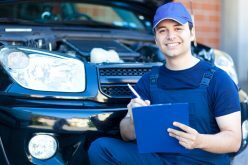 While your first reaction may be to panic or cry about your weekend being ruined, unless you see smoke coming out from under the hood or some other indication of obvious trouble, you can easily continue on your way. There are over 1,000 reasons that this light may come on. Most warn you that your car needs service soon but the reason may not ruin your beautiful weekend. 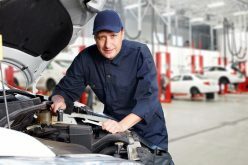 In order to avoid needless worry, pull into an auto parts store and ask them to read the code allowing you to know exactly what is wrong with the car. Some reasons are more common than others. The O2 sensor tells the car’s computer if the right mixture of fuel and air are being burned. Over time, these sensors get covered with road grime and oil. Therefore, they do not read properly. Most cars have between two and four of these sensors. The great news is that they usually just clip into the vehicle so replacing them is easy. If you choose to ignore the problem long term, however, and there really is a problem not just a broken sensor, you can end up with damage to your catalytic converter which can be a costly repair. Additionally, if there really is a problem you will get lower fuel mileage. One of the easiest problems to fix causing a check engine light to come on is the gas cap. If the gas cap is put on improperly, then the fuel system does not work effectively. You will get lower gas mileage because part of the fuel is going back out the hole where you put it in. You can try just undoing the cap and putting it on again. If that does not work, then you may need to purchase a new gas cap for the vehicle. 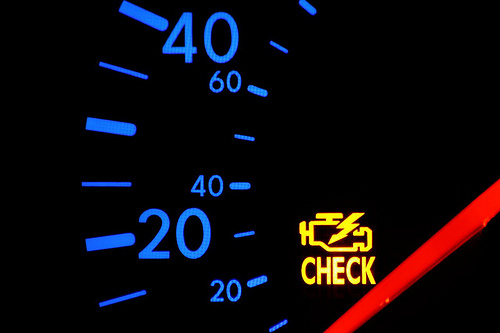 Check engine lights also come on when there is a problem with the vehicle’s catalytic convertor. This is one of the most expensive reason for the check engine light to come on while driving a vehicle. The catalytic convertor takes carbon monoxide and turns it into harmless material. If this is the reason that your light came on, then you need to have it replaced as soon as possible. A great way to keep this error from occurring, however, is to perform routine maintenance as outlined in your car’s manual. Your car’s system must get enough air to operate properly. When it does not, then you will experience lower fuel mileage. 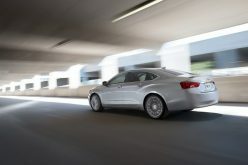 Therefore, car manufacturers install mass airflow sensors in vehicles to measure the amount of air that is flowing. Over time, these sensors wear out and need to be replaced. If you want to cut down on the likelihood of this happening in your vehicle, then change the air filters on a regular basis as outlined in the car’s maintenance schedule. Energy must pass across the spark plugs in order to start the car and keep it running. Over time, spark plugs can fail. When they do, you may find that the car will not start. If you get it started, then you may notice a sluggishness and a decrease in fuel mileage of up to 30 percent. In older vehicles they need to be changed every 25,000 miles. 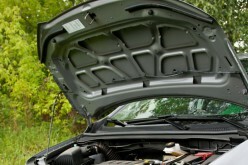 In newer vehicles, they can often last 100,000 miles.